You walk around your garden or compound after your busy schedule, and all you realize is an untamed growing grass and plenty of small vegetation all over. Your compound is untidy, bushy, unattractive and one thing you can think of, is how to get things straight. This is where a great lawn mower comes into your mind, to quickly get the job done. Freshly cut grass is attractive too. It leaves your surrounding looking awesome. Lawn mowers provide modern technological cutting needs for that unnecessary growth, thanks to the innovative quality models available in the market. Whether self-propelled, walk-behind or push lawn mower, there are those that can be battery-powered or come with an in-built motor engine. Those ran by battery as you mow can be energy draining and tiring. While those that are self-propelled, either automatically programmable or remote controlled, are more convenient depending on the shape of the ground being mowed. So many lawn mowers, claim to do this very important task and unfortunately fail to cut the mark. Understanding the extent of the amount of work for your lawn mower is an important factor to getting the appropriate machine for you. I take you through a revealing and informative review on how to identify the quality, efficient and most effective lawn mower, to exactly get your mowing problems solved effortlessly. 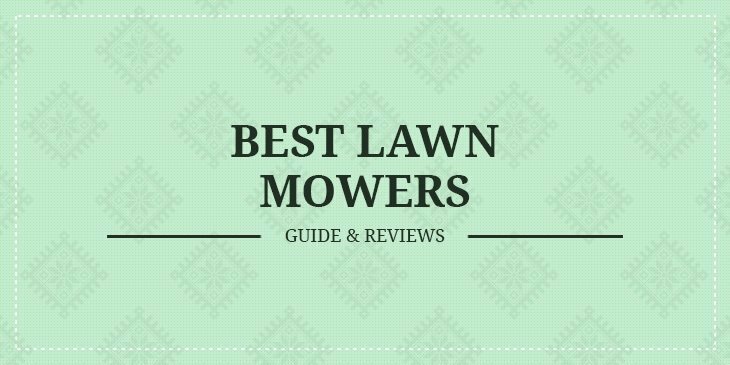 There are specific options of lawn mowers you can choose from, depending on the speed you want to get your work done, the size of the area to mow and even the type of surface to work on. Rotary lawn mowers are quicker, appropriate for tall grass and even uneven surfaces. They have a cutting blade that rotates below the mower. Some have a grass box to collect cut-offs. Cylinder lawn mowers come with many cutting blades for that negotiated cut. Some have rollers and others don't, but this will depend purely on your preferences. It happens to do a good job in a regularly cut grass. Lawn mowers that run-on petrol tends to be more aggressive for fast action. They are a little bit blaring, though. Robotic lawn mowers are perfect for you if you are the type that doesn't want to be moving around your large space doing your mow. Run on battery power source; they can be timed and even remote controlled to specific areas around your cutting area. Be keen to pinpoint the exact work you need your lawn mower for, to make an appropriate choice. When checking out the critical aspects for specific lawn mowers, match the features and the type of mower you require to your job objectives. This will help you in making that perfect choice for that much-needed value for your investment. Be keen on these elements when trying to choose the appropriate mower for your tasks ahead. How your mower is powered, is a constituent factor for ease of carrying it around and the energy you will need. There are those lawn mowers that are run-on electricity. You need to check out their wattage, if it's higher, that indicates more power source for your mower and great expected performance. Those that use the battery will leave you hustle-free, because you don't have to use cables, like in the case of electric mowers. They tend to be less noisy too. But if you also want to cut that weight or do some good workout, you will find the push mower more advantageous.You lawn as you stay fit. In this case, you are the source of energy for your mower. The size of your grass is also a very vital aspect to take into account. If you are to mow a small area, you can easily achieve this using a push mower or an electric one. For electric, moving around large areas and cable flexibility might be constraining while pushing your mower, you also likely to experience fatigue fast. You will find electric mowers more appropriate for larger regions, especially those that are cordless. Petrol mowers too can finish the job in such areas. The grass trimmed needs to be contained in a case. This makes it easier for your machine to focus on the task ahead effortlessly without much clogging of grass to cutting blades. Other grass collectors modify the grass such that it becomes easier for you to dispose it altogether. Check out for big grass collectors to save you time spent in regular grass disposals. Mowers that don't come with grass collectors can equally be beneficial when there is a need to leaving the cut grass to act as nutrients for the soil. Check out also for the mower that gives you the ability to tailor your cutting varieties to achieve the intended objective. This will depend on the texture and height of the grass. If you want to recycle back to the mower your cuttings, consider getting those with an option for mulching, including the ability to release the grass conveniently. The grass should be released to the back to avoid it jumping to your face and leave you clearly seeing your target area. Now that we have looked at the elements you don't need to leave out when identifying the best lawn mower. It is also vital to note, and there are many models out there that struggle to provide what you need unsuccessfully. These lawn mowers, will effortlessly provide you not only with the efficiency, effectiveness, and speed you need to finish your duty, but also live up to your convenience. 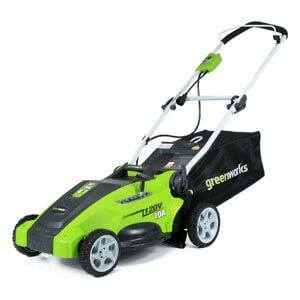 If there is any environmentally friendly lawn mower that interests me, it is the Green works 25022 12 Amp Corded 20-Inch Lawn Mower. This is because it is electric and has almost zero emissions. This mower when it comes to dependency, it will live up to the expectations. With one amazing performance, it is less costly even in its maintenance, bringing along top notch efficiency for your needs. It is simple to maintain and use because you don't have to struggle to look for gas. This is because it comes with a two Amp electric motor, able to run for that rough cut. In the long run, expect to minimize your costs. This mower is designed for zero carbon standing, with no pollution to the surrounding, it still maintains great power supply as you go about your cutting needs. This is credited too to its electric motor that uses no gas. It comes with a simple to start or stop button, so you don't have to worry about adjusting its operation to your convenience. With a mulching ability, it brings along a mulch plug plus a rear collection bag, just to keep the trimmed grass contained from an uncontrolled spread, all over. It is dedicated for a 20-inch cutting width too. The 7-position height adjustment capability brings you a wide range of options for your cutting tailor of height, for all types of grass. This means you no longer have to worry whether, whichever is your grass, the cutting will as fine as anticipated. It is light in weight for portability ease, with 10-inch rear wheels and 7-inch front wheels to negotiate those rough, uneven surfaces. Folding your machine once done for storage has been made easier, courtesy of its easy cam lock on its handle. The Husqvarna 5521P 21-Inch 140cc Briggs & Stratton Gas Powered 3-in-1 Push Lawn Mower is one incredibly high-performance machine; that is purely emphasized to facilitate you completing your tasks on time. Irrespective of the kind of surface you are dealing with, this lawn mower is there to fix your concerns. This is a durable mower. It is designed with a handle that makes it easy for you to store in conveniently. For cutting height adjustability, this lawn mower commands a 4-point and 5-pont cutting height adjustment. This solid design is even further best for any grass condition. It comes too with a 5-1/2 torque too. The Husqvarna 5521P 140cc Briggs & Stratton 550 EX engine, commands a superior motoring, you don't have to be concerned whether it will shut down, while in the middle of that important maneuver. It is very easy to tailor the machine to any location, space to achieve that extra cutting for a fine job. This is due to its light weight and 3-cutting system plus a 21-inch cutting width, all emphasized for the ultimate containment of the cut grass. It also mulches and releases the trim for a comfortable next cut. It also brings you an ergonometric handle design for not only a stable grip but also gives you more comfort and great ability to go about your movements. The 8-inch front and 12-in rear wheels too are geared for easy mobility and negotiating of the level surface effortlessly. If there is any environmentally friendlier lawn mower, it is the Sun Joe MJ401E Mow Joe 14-Inch 12 Amp Electric Lawn Mower. It is designed not to pollute our surroundings.You don't need too to use gas, oil its parts or even to go through tune-ups to get it running. It is light in weight for mobility and tailor of cutting motions. It comes with a superb engine might commanding 12 Amp motor cuts a 14-in wide path at every single pass. This gives you the capability to cut your stubborn tall grass at the best of required level, without any difficulty. At a single push of the button, expect this lawn mower to rise to its role with excellence. It is well engineered to ensure you go about those irregular terrains and uneven surface, without much of the hustle. This is the ultimate grass shaper of your surroundings. It is well designed for that longevity of service, thanks to its durable steel blades. You are likely to experience less maintenance of this mower, given its gas-free void of tune-ups. Adjust the grass cutting height at your preference, to ensure you elevate performance. This means its 3-position manual height control, is flexible for fluctuational needs from 1.18 into 2.52 in. Grass clipping is complimented by a rear bag, detachable easily for the convenience of discarding. This is an easy to store mower too, when not in use. 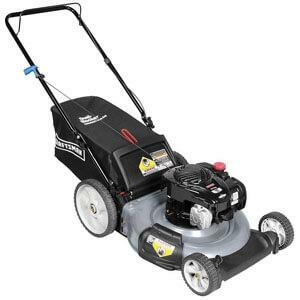 If your interest shifts to the need of a durable lawn mower, this model comes in handy. 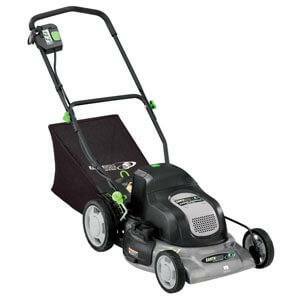 It embraces high-performance rating for the clear cut that will trim your grass to that beautiful shape. You don't have to worry of how to dispose your offcuts too. With a Briggs & Stratton Silver Series 140cc, OHV engine 5.0 ft./lbs. gross torque, expect brave motoring dedicated for the best of functionality. Its recoil starter minimizes for you need for pulling the start button, for you to start the engine. This put at the forefront the reliability of its start-up. An in-built 21-inch 3-in-1 deck makes it possible for a variety of releasing the trimmed grass, covering the cut grass nutrients into the surface area for the soil. It can equally contain the trimmings back to the collection bag, so you don't need to worry about careless dirt spreading around as you do your cutting. At your choice, you can easily control the height of the blades, courtesy of the twofold deck adjusters, emphasized with six functionalities. This is not only quick but also comfortable for any grass. Mulching is perfect, credited to its long-lasting blades for that unmatched grass cutting. The collection bag minimizes dirt around. The wheels facilitate suitable turnings for even the rough terrains. Expect the best for that much-desired grass cut with this machine. Innovation at its best is what is defined by this lawn mower. 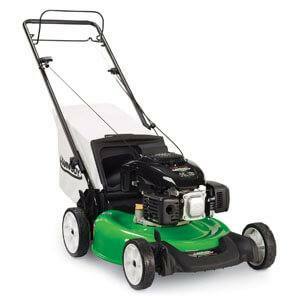 Find the corded and cordlessGreen Works 25142 10 Amp 16-Inch Corded Lawn Mowers, for whatever that works best for you. The technology of this model epitomizes high user satisfaction, thanks to its efficiency and effectiveness. 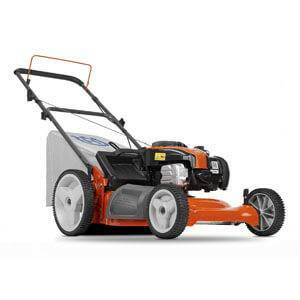 The strength and ability to achieve great tasks ahead depend largely on the powering capability of the mower engine. 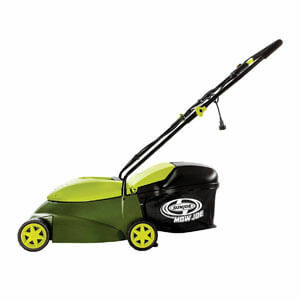 The 10 AMP electric motor ensures you have enough power to cut your grass with no hitch, however, stubborn it might be. It has a 16-inch cutting deck that oversees a fast and efficient job done. There is also an accompanied 2-in-1 provision for mulching and disposal possibility. The 7-inch rear wheel and 6-inch front wheel will ensure you your cutting height is varied to your preferences, as much as possible. This will enable you bustle-free, achieve that noticeable grass cut. The quick to push button, gets you hit the ground at the slightest of necessity. There is no straining pull of cords or need the blend your oil for the machine to operate smoothly too. 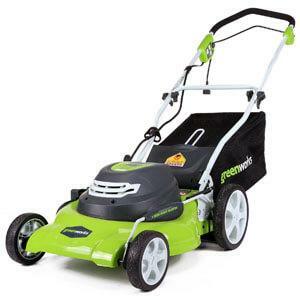 This Green Works 25142 10 Amp 16-Inch Corded Lawn Mower, moves fast to conserving the environment. It doesn't emit fumes nor does it use gas. Expect high performance and quality service with minimal let downs. It is easily storable too. For those who love lawn mowers that are comfortable to deal with, this machine is dedicated to delivering exactly that.This is credited to its functionality ease of use. It uses gas for motoring requirements.It comes with over a year warranty too, just in case you need your lawn mower attended for that much-needed extra service. This mower rides around, thanks to its steering wheel and a 13-inch soft grip wheel, adjustable to preferred heights. This makes the cutting more fun and enjoyable. You will find it easy to store in your shade too. Don't be afraid of the rough, irregularly shaped surface terrain; this machine got you covered. It's very appropriate also for middle sized landscape. To make your 5-height adjustable blade a convenience, this is achievable easily manually, for that exquisite power take off. The 420cc Troy-bilt engine commands strength that exceeds regular brands out there. It is fueled with a filling volume of about 1.3-gallon tank. This is emphasized for that ultimate Performance. It comes too with a fuel clear-view window, just in case you want to do a fast gas check to ensure you are sure of uninterruptible continuity. You don't have to worry; you will run out of fuel unnoticed. Maximized for that versatility, this mower comes with keen engineering, geared for top notch mowing demands.This is a grass merciless consumer. This an electric lawn mower, able to release, mulch or even contain into the collection bag trims while keeping you cut surface tidy. Your mowing unique fashion, is no doubt realizable with this model. It brings you an adjustable deck for you needed grass height. It retains a uniform level of grass cut without leaving a messed-up aftermath. It has an included 20-inch cutting way plus the ability to exclude the unnecessary trimmings, mulching them for appropriate disposal. Its rear collection bag is big enough to do a longer mow before being emptied. 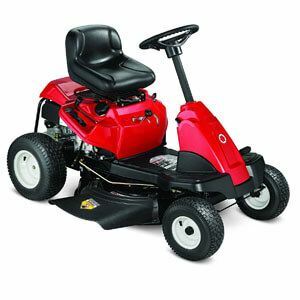 Moving around theTroy-Bilt 420cc OHV 30-Inch Premium Neighborhood Riding Lawn Mower isn't mind boggling. This is benefited by 7-inch and 10-inch rear wheel. Making those quick and urgent turns is made effortless too. Expect its ergonometric wheel handle to offer you a stable grip for appropriate motion control of your machine. It incurs you less costs since it is not a gas engine that might need refueling. Unlike most regular lawn mowers out there in the market, this provides excellence at its best. It is not so expensive for those interested with top-notch performance and reliability.This is a 3-cut able system with a 21 in. It assumes a deep dome-like deck, not so heavy but still commands durability. You are likely to get that beautiful cut, at your choice. This is one mower that is easier to move around, thanks too, to its easy to deal with handle. The self-boosting system allows for a greater adjustable rear wheel for those desired moving requirements. Don't bother much on how to check on your cutoffs. Its big bag can handle large volumes of clippings with no hardship. The collection bag is also designed to enable you dispose-off your trims much easier and quicker, effortlessly. The engine is a Kohler 6.5 ft. lb. gross torque 149cc OHV, with an auto congestion control. It comes too with an in-built steel deck tri-cut blade for that admirable finish. Adjust the deck height at your choice, for the suitable mowing height. Go about various types of terrain, courtesy of its 7-in. front plus 8 in. rear wheels. It is easy to start. Are you the type when it comes to conserving the environment, this is a priority? The Sun Joe iON16LM 40 V 16-Inch Cordless Lawn Mower doesn't produce emissions, thanks to its battery run motoring ability. This is likely to minimize costs of fueling in the long run, making this model budget friendly. 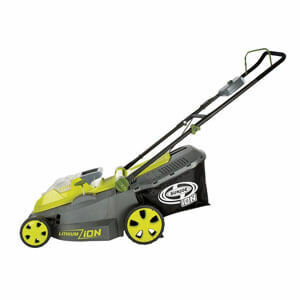 Sun Joe iON16LM 40 V 16-Inch Cordless Lawn Mower is an electric lawn mower. It operates 40-volt lithium ion batteries, powering a 16-inch deck, for you to able to go about to the stubborn grass and do cuts at various height adjustments. The engine can run for 40 minutes for efficiency, lasting for about 2000 hours while in operation, this is a remarkable run-time. The lawn mower is credited with an engineering prowess of being less noisy and you won't release the toxins too to the environment, just like most regular brands out there do. Your neighborhood is to remain tidy, unnoticeably. It is very easy to start, control height and trap trimmings into the collection bag, for disposal. You can't go wrong with this Sun Joe iON16LM 40 V 16-Inch Cordless Lawn Mower. With a slight push button, you can easily start the engine. The ergonometric handle design ensures comfort while controlling the lawn mower mobility and directions. Adjust effortlessly the 6-position height for appropriate cutting needs. It can handle too rough terrain, to take care of your lawn. 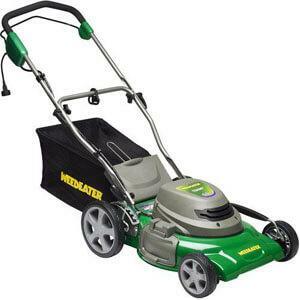 Lastly but not least, is my favorite Earthwise 20-Inch 24-Volt Cordless Electric Lawn Mower. It doesn't pollute the environment regarding noise and emissions. It runs too on a powerful battery. The start-up is very simple; you don't need to be pulling the cord, like most regular machines, to keep it running. The mower is a removable fix-in fix- out battery; that ensures heightened performance. The 24-volt battery delivers outstanding continuous performance, eliminating chances of regular breakdowns, characterized with regular brands. You don't have to be concerned with efficiency and durability, the wide 20-inch cutting path it provides, plus a heavy-duty steel mower deck, easily achieves this. You are not likely to miss cutting that targeted lawn, thanks to its powerful precision blades. This saves your time and energy, by doing your mow as anticipated. It emits no gasses to the environment; this keeps the air around us much fresh. It can negotiate tricky terrain, thanks to its 7-inch front wheels and big rear wheels. They make the lawn mower mobility more smooth and reliable, for that fine cut. The incredible handle offers more comfortable grip too. The handle can, with much ease fold-up for hustles machine storage. Its functionality allows for height adjustments of blades, for a clear cut. Ensure you maintain, with utmost care your lawn mower for it to achieve intended longevity. Do regular checks to ensure the machine parts are to avoid or minimize breakdowns during your mowing. Those models which come with a warranty are more preferable, just in case, you want to ensure that extra attention for your machine when the need arises. Don't compromise to the eminence of the appropriate mower you need for your budgeting constraints. You need a lawn mower that will leave you surrounding, an awesome view. Any of these models are likely to do justice to your pocket value, in the long run. Expect more efficiency and heightened performance too. You can't go wrong with your mowing anymore.